Welcome to Flawed yet Functional! 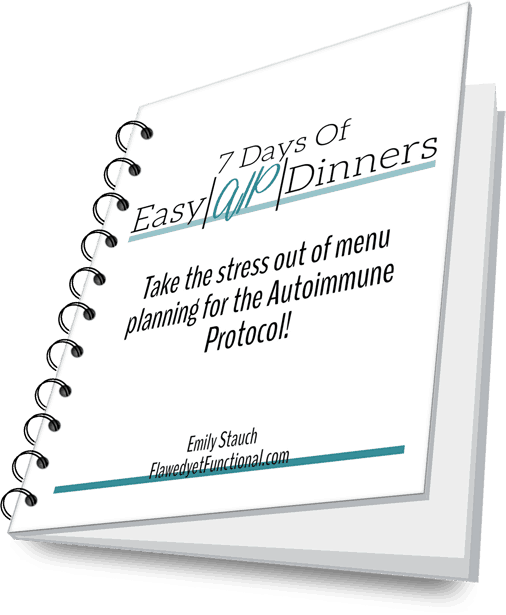 Most days, I focus on my current health conditions: autoimmune diseases and Type 1 Diabetes. However, my biggest health scare, and my first significant one was the removal of an arteriovenus malformation (AVM) from the right frontal lobe of my brain. While I’ve written extensively about the discover, surgery, and part of the rehabilitation, I haven’t finished the story. Today I’d like to continue on with that story by sharing My AVM Story – Part 42 Outpatient Physical and Occupational Therapy. If you are new to this story, go to the AVM Story page to start from the beginning or refresh your memory as it’s been a long time since I’ve written about this! As I mentioned in My AVM Story – Part 41, there was a LOT of driving to get to Mary Free Bed in Grand Rapids for my outpatient therapy. Between my mom, who lived with us for a time after surgery, and Dan they clocked many hours back and forth to Grand Rapids for my rehabilitation. To limit this driving (and return to normal life! ), I was highly motivated to “graduate” from therapy as quickly as possible. Physical therapy was always my favorite therapy inpatient or outpatient. Pre-surgery, I was an active jogger. Cardio and strength training were a firm part of my life, and it was my goal to be able to return to those activities. By the time I was discharged from inpatient rehab, I was able to slowly jog. Due to this, my time in outpatient physical therapy was very short. Praise the Lord! I completed 1 or 2 sessions of outpatient physical therapy when the therapist said anything further, gross motor-wise, I could learn on my own. Two therapies down, 1 to go! Read about outpatient speech therapy here. Physical therapy deals with gross motor movements: walking, jumping, swinging a bat, any large movements by the arms or legs. Occupational therapy focuses on fine motor skills: picking up coins with your fingers, typing, or wiggling your toes. For me, occupational therapy was hard. Very very hard. The connection between my brain and left hand was especially difficult to repair. To this day, I don’t know if the right side of my brain was permanently damaged in surgery or if it was just swelling that gave temporary paralysis. I woke up from the medically induced coma with no movement or sensation on the left side of my body, the entire left side. Draw a line from the tip of my head to my toes, and I could do nothing with the left side. Yes, this means my face was divided in half too! Crazy, right?! As sensation and movement returned slowly, my doctor said it is possible that the swelling in the brain caused the function to stop. So as the swelling goes down, function returns. Another possibility is the left side of the brain could be taking over for the damaged function on the right side of the brain. Isn’t that an amazing thought? God made us with motor function controls on the both sides of the brain. Normally, the right side of the brain controls the left side of the body and vice versa, but when one side is damaged, the brain can learn how to control both sides of the body from the one undamaged side of the brain. Now if that doesn’t say Intelligent Designer, I don’t know what does! Anyway, all that to say I don’t know if function returned due to reduced swelling or the brain forging a new pathway, but either way, function returned! The primary focus of my outpatient therapy was returning as much function as possible to my left hand. By this time, I had “graduated” from physical and speech therapy (being taken off anti-seizure meds allowed me to stop speech therapy almost immediately! ), but getting the fingers of the left hand to move when and where I wanted them to was difficult. One of the activities was picking up coins, one at a time, from a flat surface and holding them in my palm while picking up more. Try it with your dominant hand. It’s no big deal, right? Now try again with your not dominant hand. It’s much more difficult. Notice how many small movements are necessary to make that simple action take place. Use tip of thumb and nail of index finger to tip coin up on it’s side. Pick up the coin with thumb and index finger. Move coin to palm while simultaneously wrapping the coin with the middle/ring/pinkie. Let go of the coin (but don’t drop it!) and pick up another one. It’s tricky when the appendages aren’t very nimble! For weeks, I worked on typing, tapping my fingers one at a time, shuffling cards, picking up coins, grip strength, pinching clothes pins, and a myriad of other activities to strength and challenge the function of my fingers. Just 6ish weeks after my discharge from inpatient rehabilitation, I was completely discharged. Amazing! I went from unable to move or feel anything on my left side on December 11 to living on my own again by mid-February. Now I still had work to do on my left hand, but my therapists said there was nothing more they could teach me. The real work of continually trying new things just needed to happen by me on my own each and every day. In the weeks, months, even years following occupational therapy, I continued to try new things with my left hand, but most importantly, I just kept using it even though it was frustrating at times. Challenging my left hand to do real life things every day is the best way to return function. Exercises are good to a certain point, but the real work is to just keep using it. Such as, keeping typing even though every time I hit “A” I turn the Caps Lock on. Every time, folks. To this day! If you were to meet me now, you wouldn’t know that I was paralyzed at one point in my life on the left side of my body; however, I can tell. If you care to read, here are the things I notice still deficient although nothing to complain about! Twirling my round brush while drying my hair is not possible in my left hand. It takes a great number of movements to spin something in one hand, and that skill has eluded me. Typing is not a fast or accurate as it once was. Hitting the Caps Lock with my left pinkie, that I mentioned above, is not an exaggeration. It happens all. the. time. Holding vegetables while I chop with a knife is a touch more dangerous than it used to be. I don’t have the finger strength to curl my fingers and hold a potato in place while I cut it, so I have to do this with flat fingers. God has removed this issue from my life completely. My hair turned curly when I changed my diet! I never use my round brush anymore! It is funny to me how important this skill once was. Truly though this does not matter in the grand scheme of things. While WPM and accuracy mean a good grade in typing class in high school, in real life, that’s what Backspace is for. Try again! While I definitely was more prone to cutting myself at first, I am totally used to how I hold vegetables and rarely cut myself. It’s a non-issue now! Please do not read this list as a complaint by me. Truly, I just like sharing my story as honestly and accurately as I can in the hopes that it will encourage someone else walking the same path. I would never want to portray that I’m 100% back to normal because that isn’t true. However, I’m so close it’s crazy. Outpatient physical and occupational therapy laid a foundation for me to return to as much normal functioning as possible. The deficiencies in my left hand do not hold me back from living a joy-filled, purposeful life. I paint, type, fix my hair, color with my kids, and do all things other people do. Are you living with a less than perfect outcome from a surgery? How could you appreciate the body you have? Have any initial negatives turned into positives? Share with us how your hardship has turned to joy!